For many people, the terms American Indian and Native American are virtually synonymous with one another, although some people­­–most notably the ones who are referred to by the use of those terms–may pose some objections. This comparison article aims to reveal the significance behind those terms and the various issues associated with their usage. The term "American Indian" originates from Christopher Columbus, who in the 15th century set out on an expedition towards what he thought was India. Upon reaching what is now known as the Americas, Columbus mistakenly called the local inhabitants "Indians", and a name was born. Even after Columbus realized that he had made an error, the name stuck and the appellation “American" was in fact added to it. Because of this historical error, many of the so-called "American Indians" felt that a more appropriate term would be "Native Americans", since these people were after all the indigenous people of the American continents. 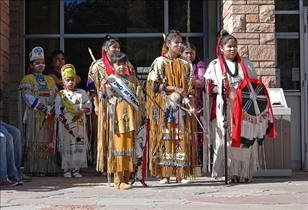 Nevertheless, the term "Native Americans" has itself been the subject of controversy, with some taking issue with the use of the word "native". While the controversies surrounding the use of the term "American Indians" are well known (most stemming from the historical inaccuracy of the term), the use of "Native Americans" in reference to the indigenous peoples of the Americas is equally controversial. Aside from the aforementioned negative connotation of the word "native", many also feel that the renaming of these people was a knee-jerk reaction that resulted from the rising trend of political correctness in the country. In addition, the term itself carries the stigma of originating from a people other than the ones that the term refers to, making it similar to the term "American Indians" in that respect. While the issue of whether to use “American Indians” or "Native Americans" remains in contention, there isn't much confusion as to which people the terms refer to. Both American Indians and Native Americans are used to refer to people that originated from the two major Asiatic groups: the Mongolians and the Malays, who came by way of the Bering Strait and Polynesia via the Pacific Ocean respectively. While the languages of both types of American Indians/Native Americans cannot be traced to the original Asian peoples, their traditions, tools, and ways of life do suggest such a relationship. On the other hand, recently indigenous American tribes including the Hopis and others revealed that they believe their ancestors originated in Guatemala and migrated north. They deny that their ancestors ever came across the Bering Strait. Has itself been the subject of controversy, with some taking issue with the use of the word "native"
Some Native Americans feel this term is more accurate attributed to a belief that their ancestors were seeded on the Earth or originated in Guatemala. Which term is preferred by American tribespeople? As a native Bostonian isn't one thereby also a native American? My father was a native Canadian but not a First Nation member. 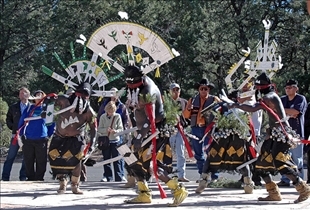 Some indigenous people prefer the term American Indian or their tribal designation such as Apache or Hopi, for example. Calling non-indigenous, native born Americans native Americans is correct just as calling a native born indigenous person a native American. A naturalized citizen not born in the U.S.A. cannot be a native American. Native American Government vs. US Government: What is the difference?